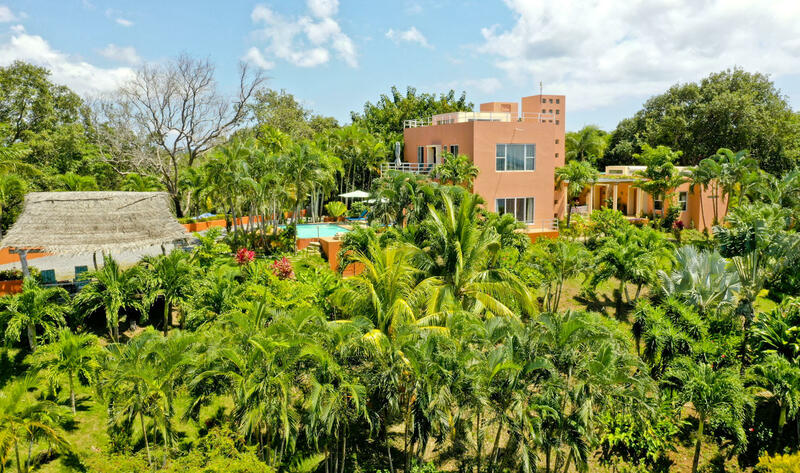 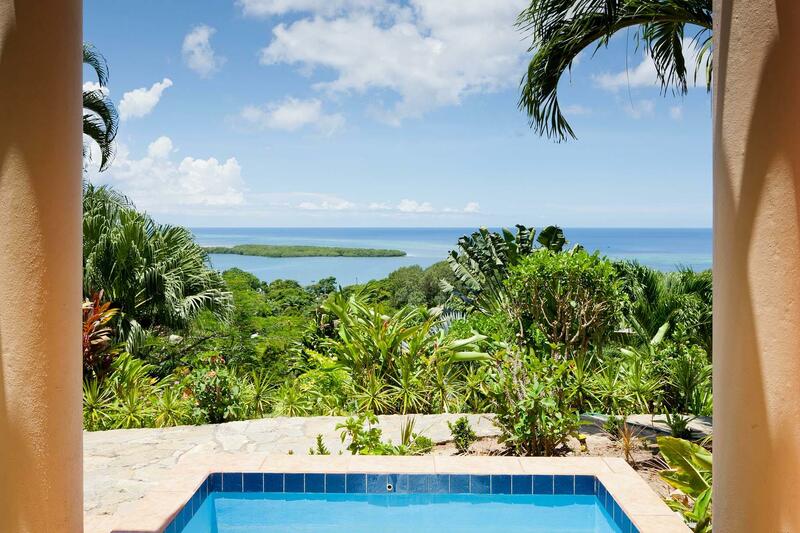 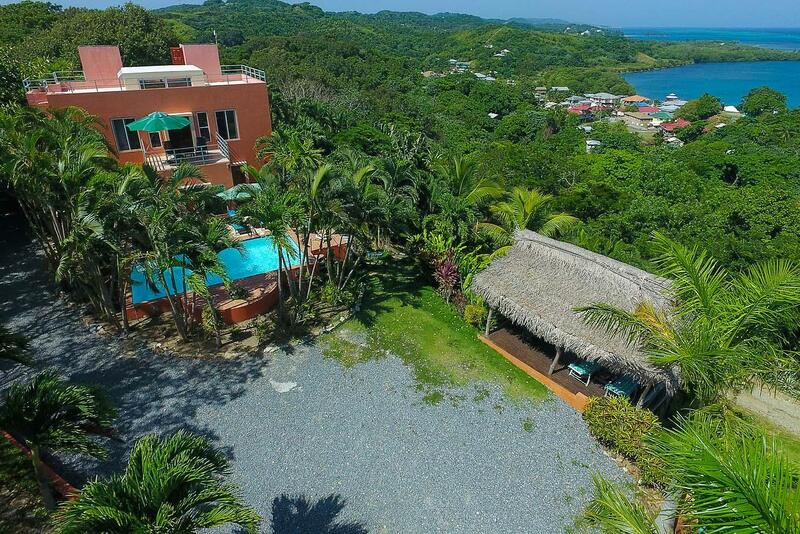 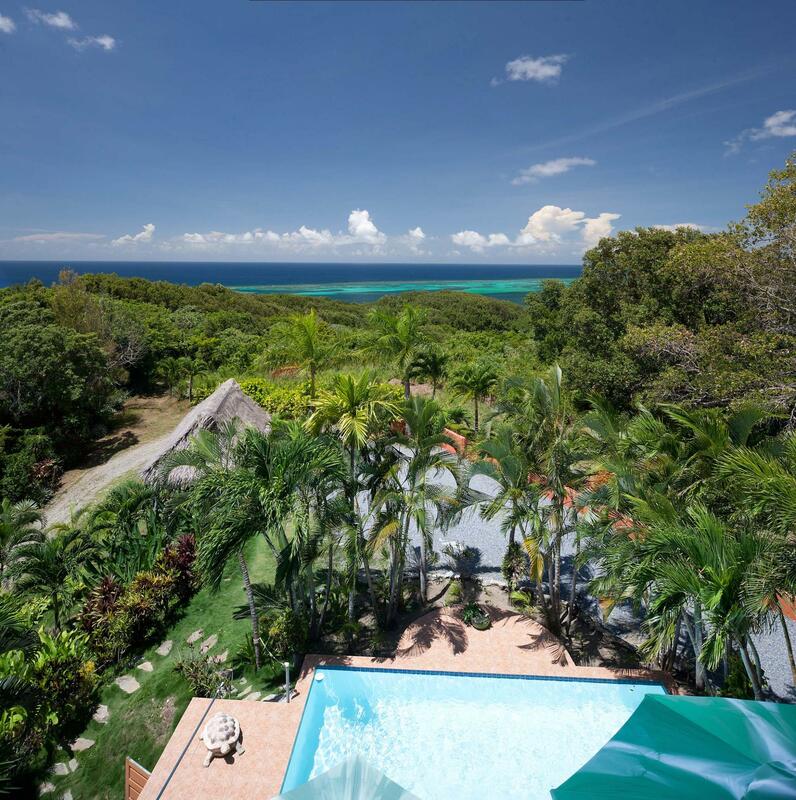 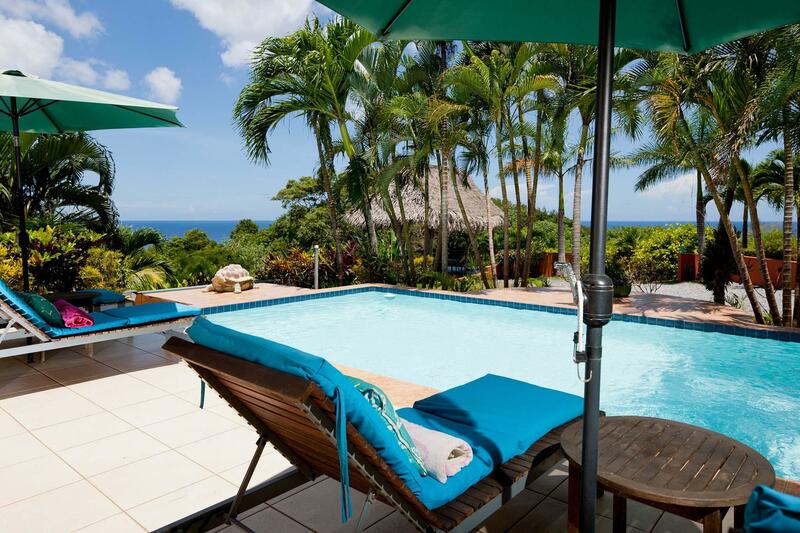 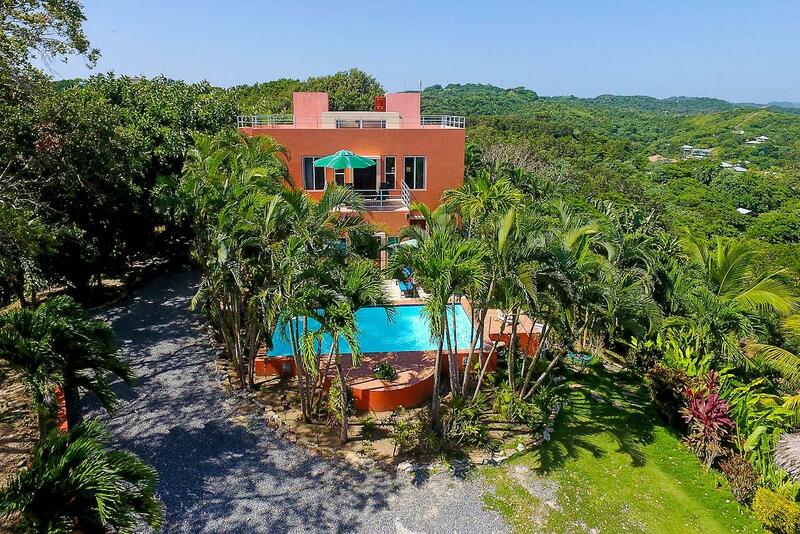 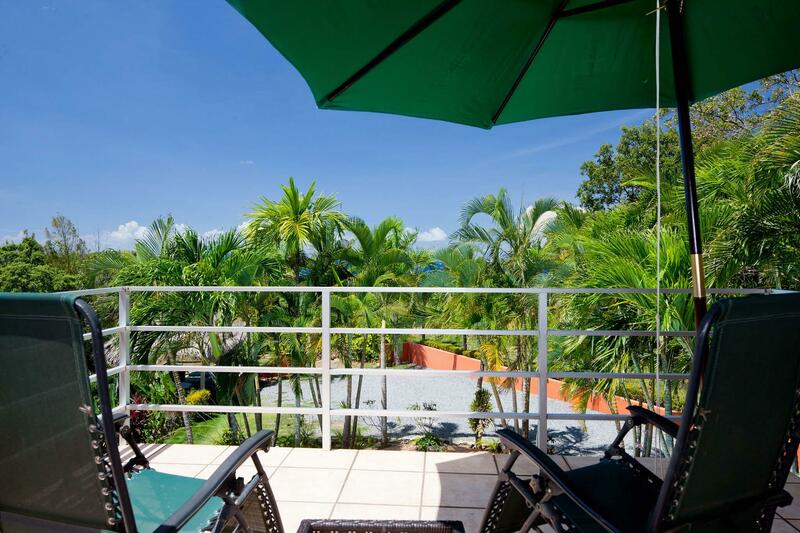 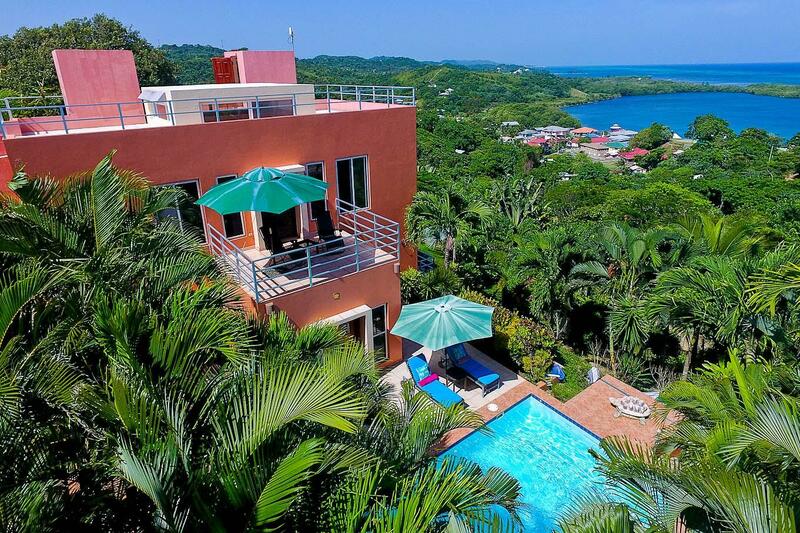 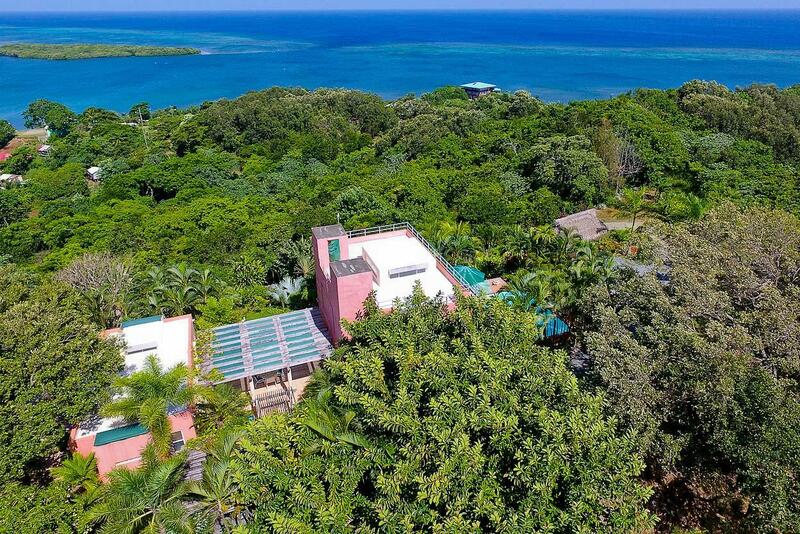 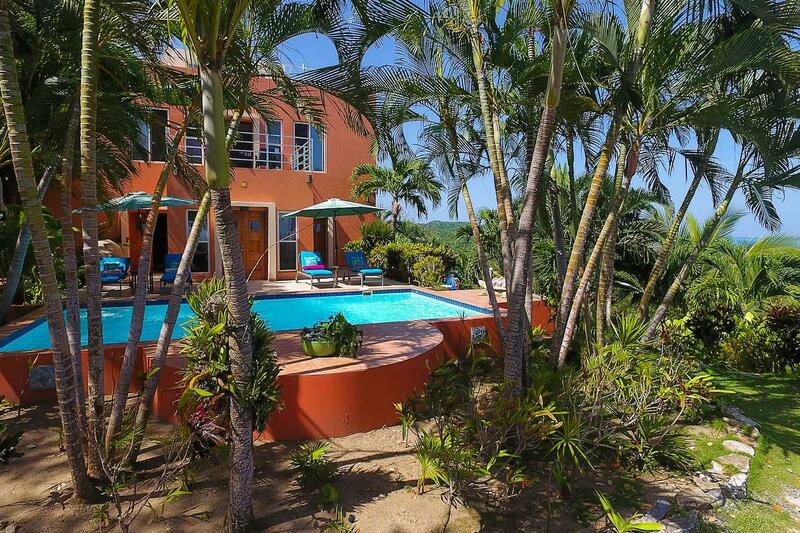 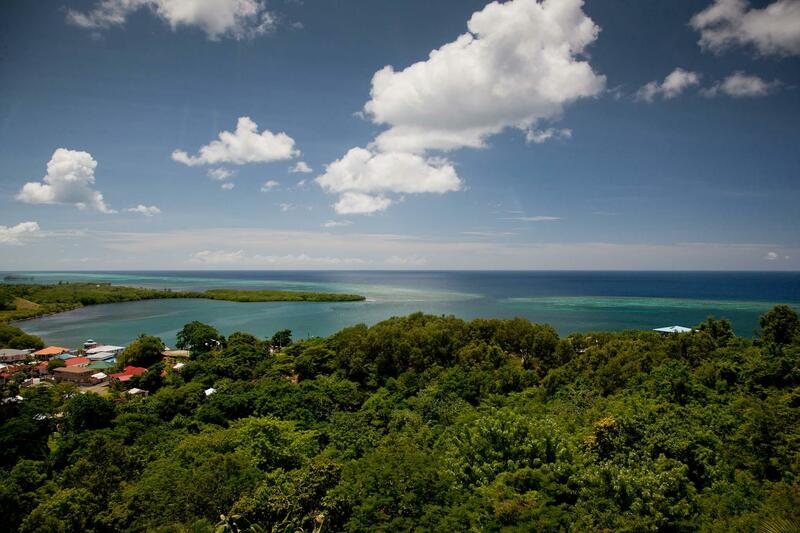 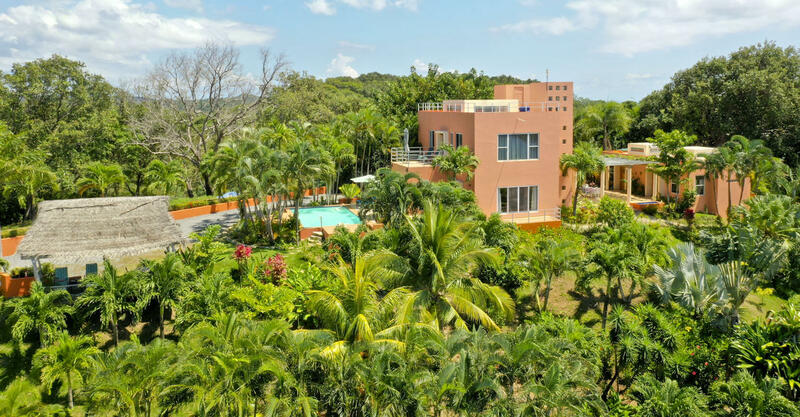 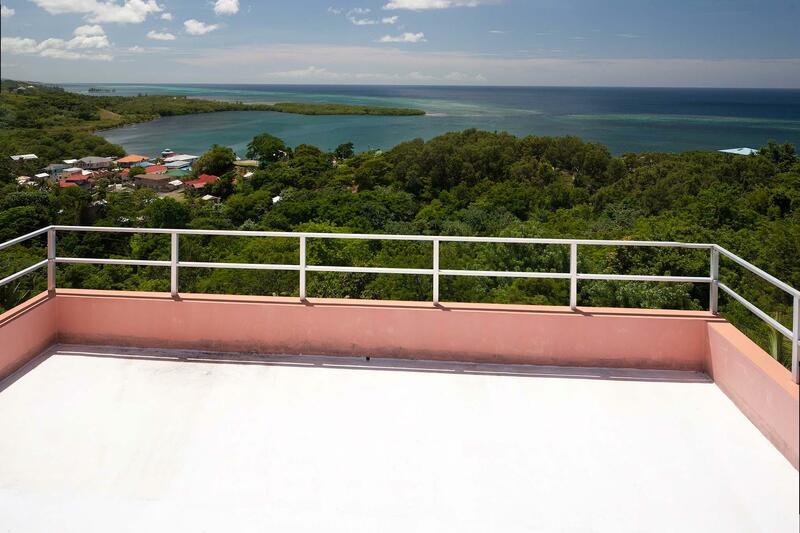 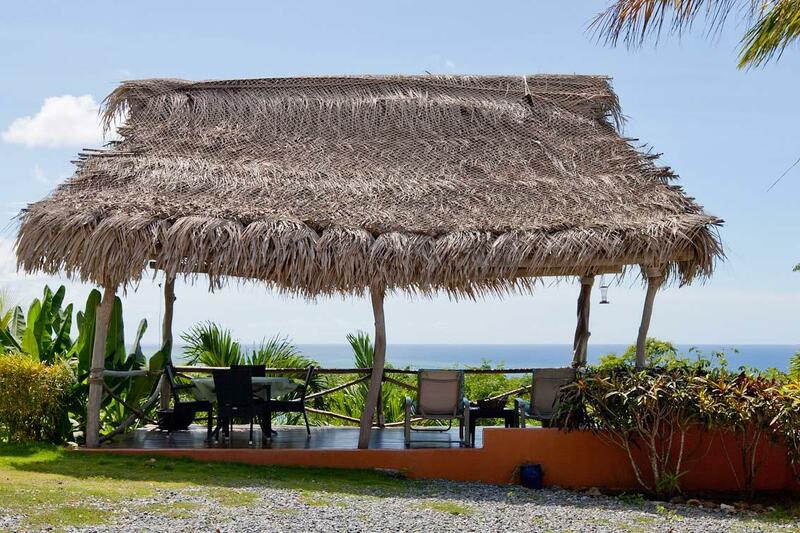 Las Brisas is a contemporarily designed, private hilltop home overlooking the turquoise waters of Roatan’s north shore. 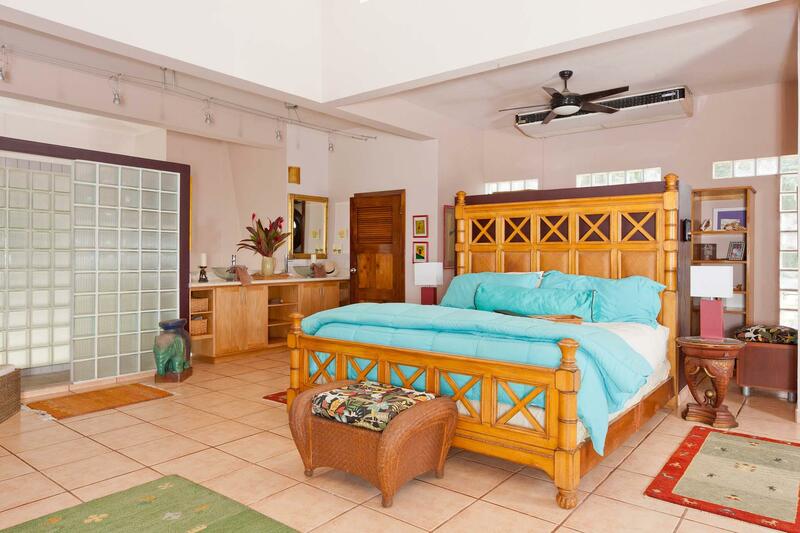 Designed for entertaining, the open floorplan of the main home includes the master suite, open kitchen and dining areas with three sets of double hardwood doors opening to the pool, palapa and outdoor entertaining areas. 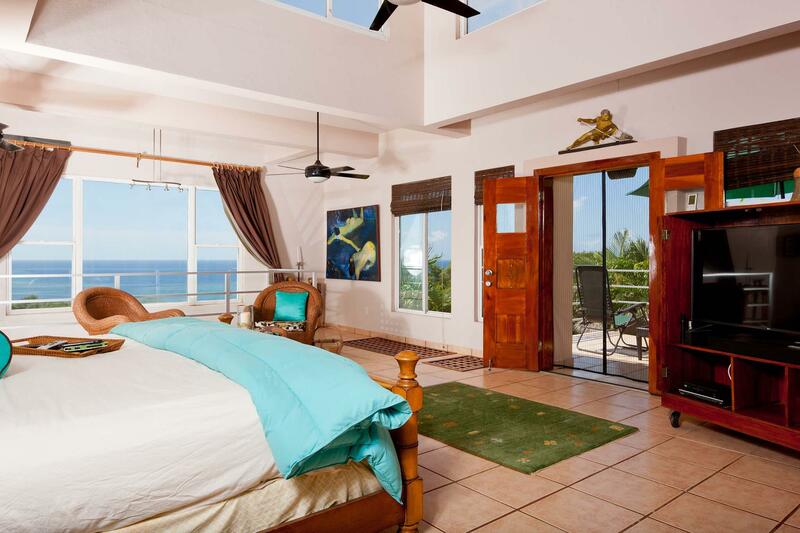 The master suite encompasses the entire second floor including private balcony overlooking the sea and swimming pool with a spiral staircase leading to the rooftop patio. 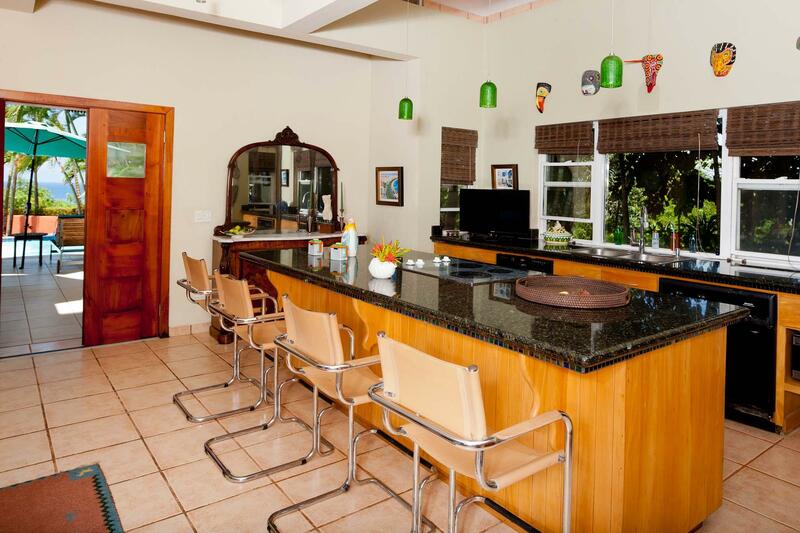 The kitchen is constructed with local hardwoods and is accented with granite counters and top quality appliances. 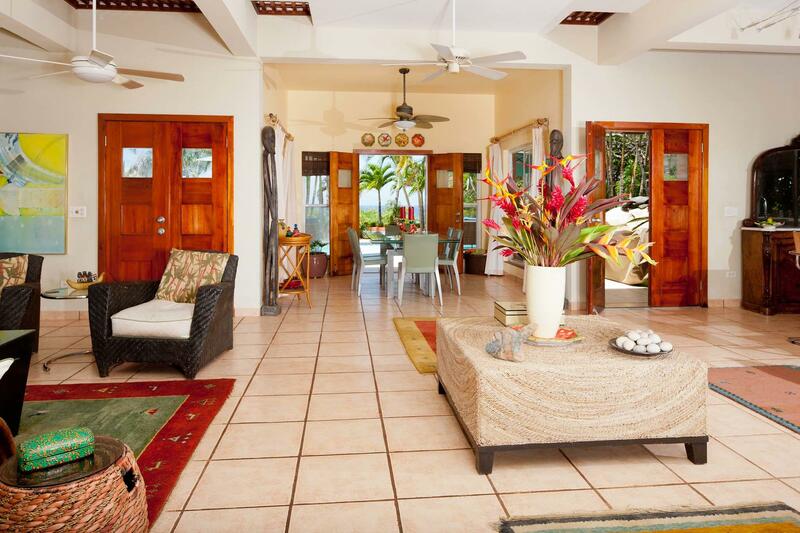 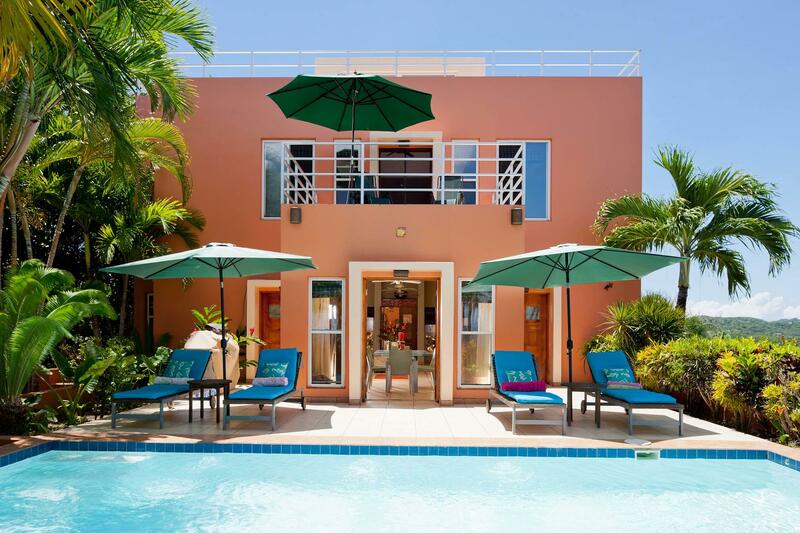 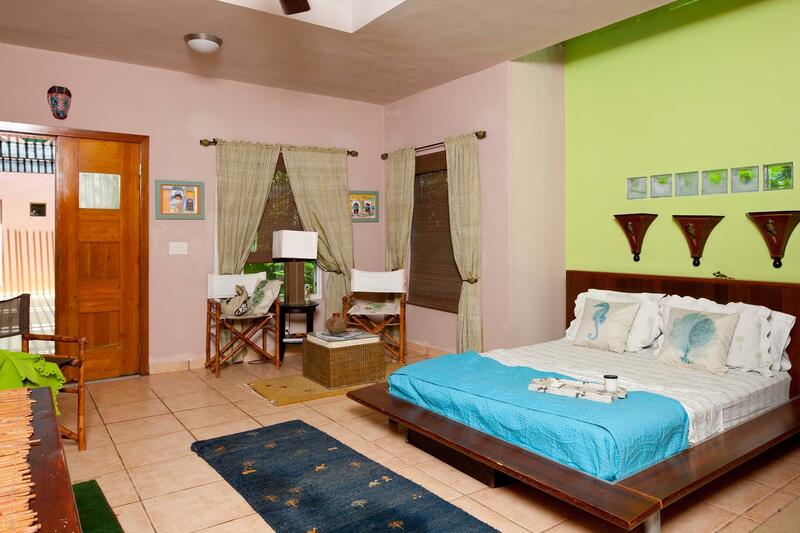 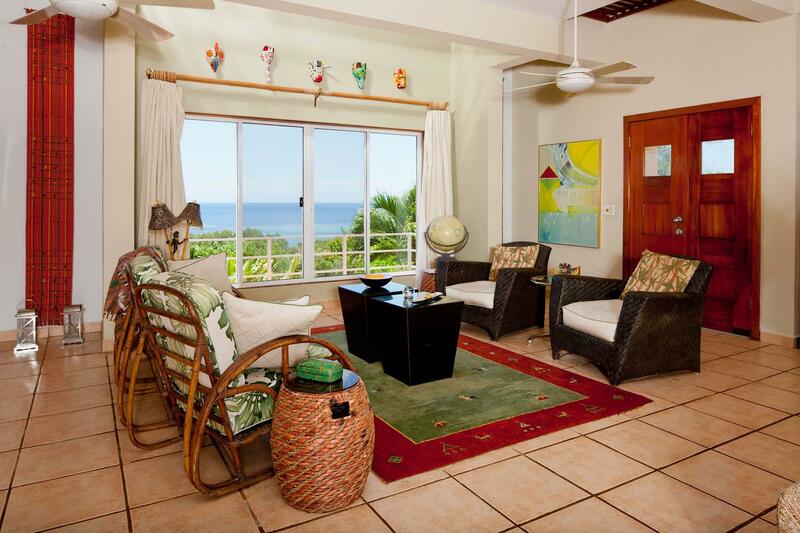 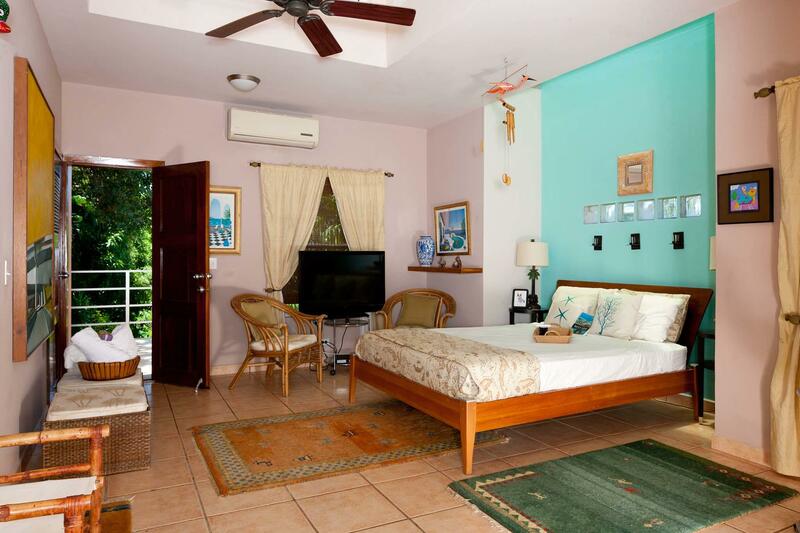 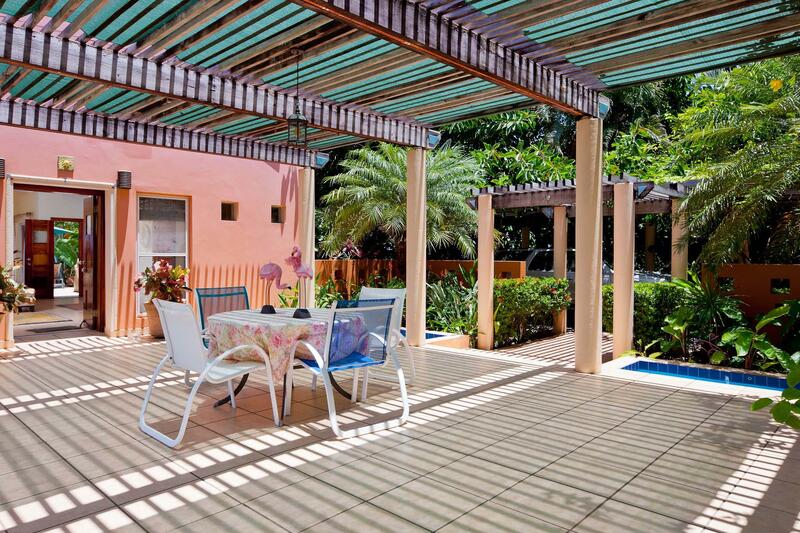 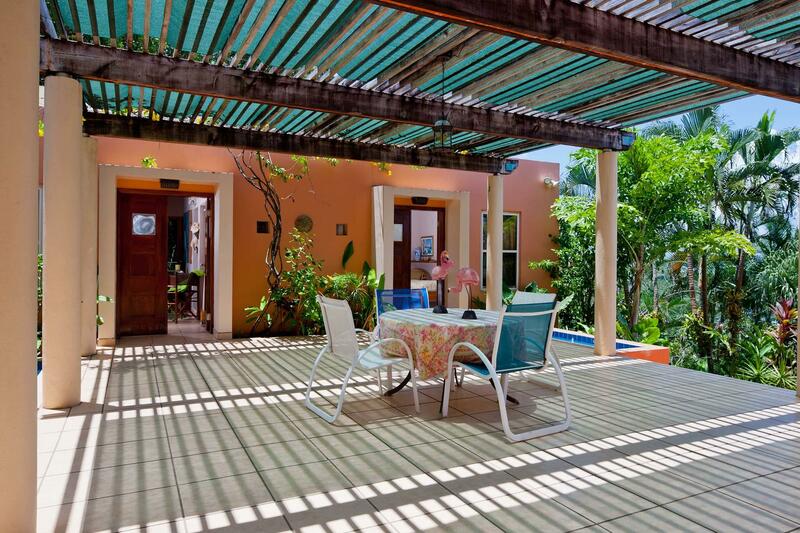 There are two, one bedroom, one bath guest suites which are separate from the main home but connected by a shaded patio with wonderful view to the colorful waters. 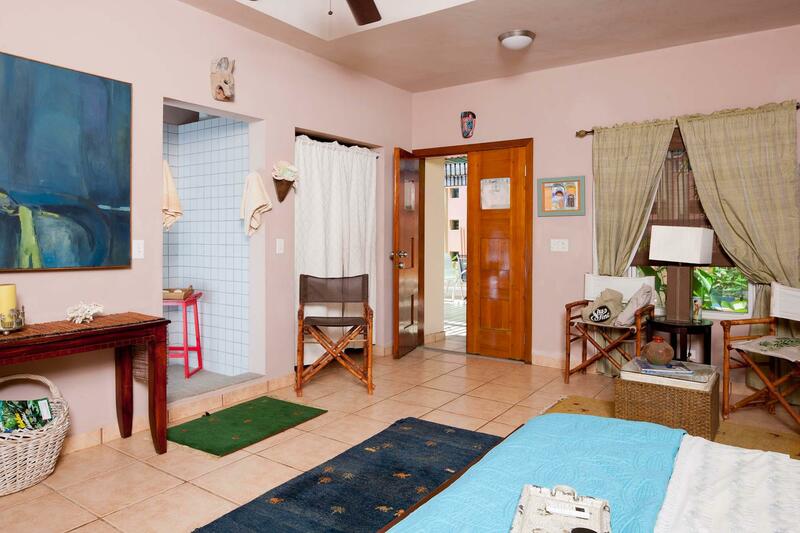 Directions: Enter Politilly, turn right at the cemetery. 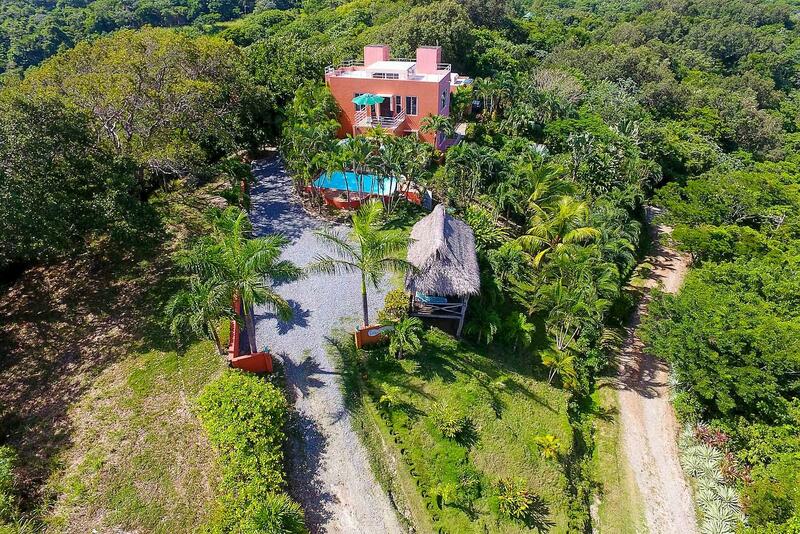 Top of the hill. 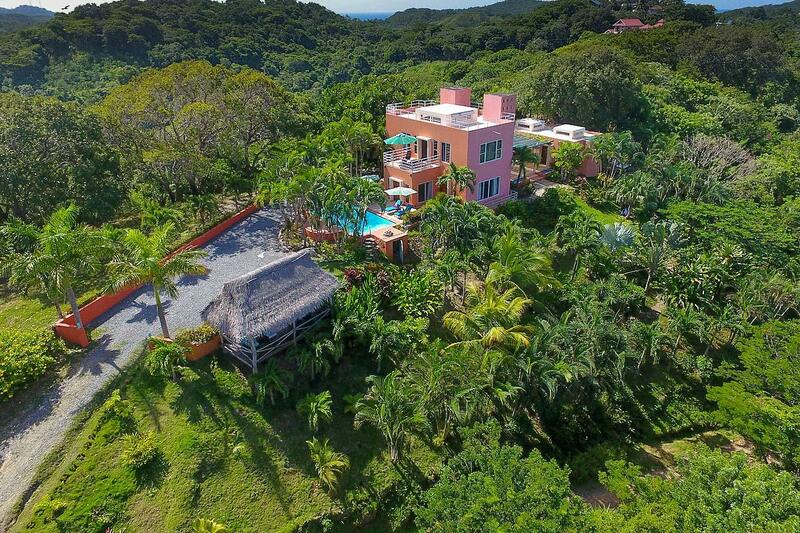 24 hours-notice for showings. 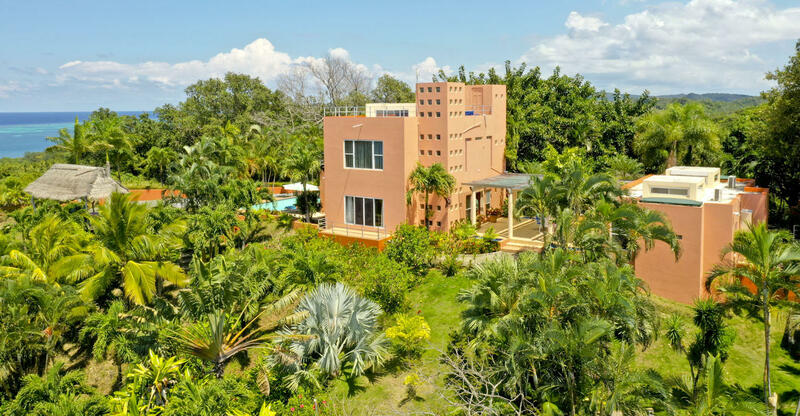 The concrete home has been built with low maintenance in mind with all indoor and outdoor areas having tile floors. 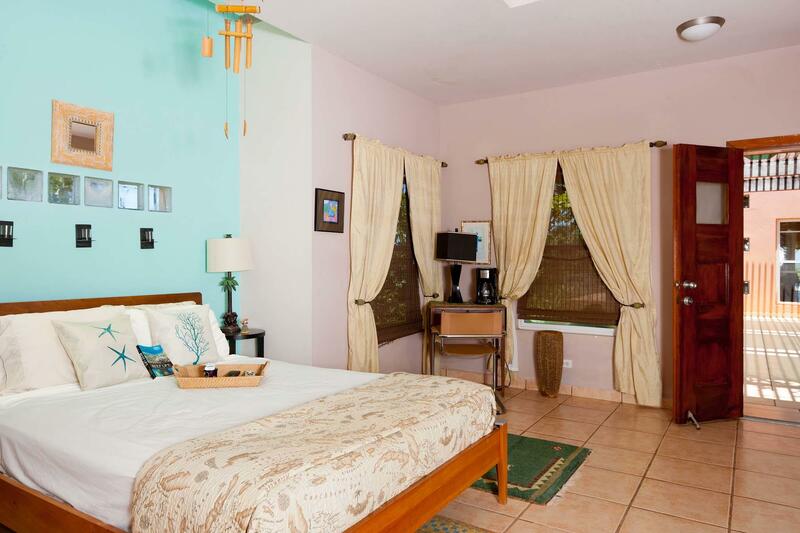 The grounds are approximately .6 acres in size with mature landscaping and room for more guest accommodations for those considering expanding the home for B&B potential. 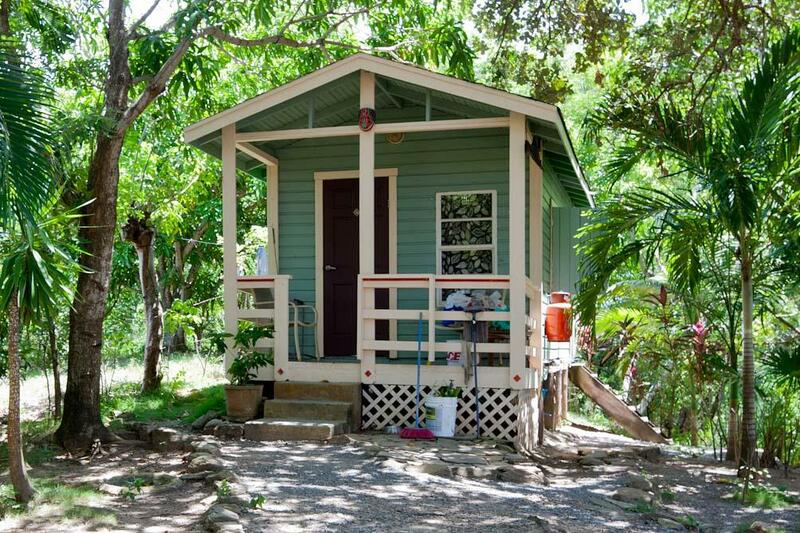 There is a cottage for the full time caretaker who looks after the home and gardens during the owners off island time. 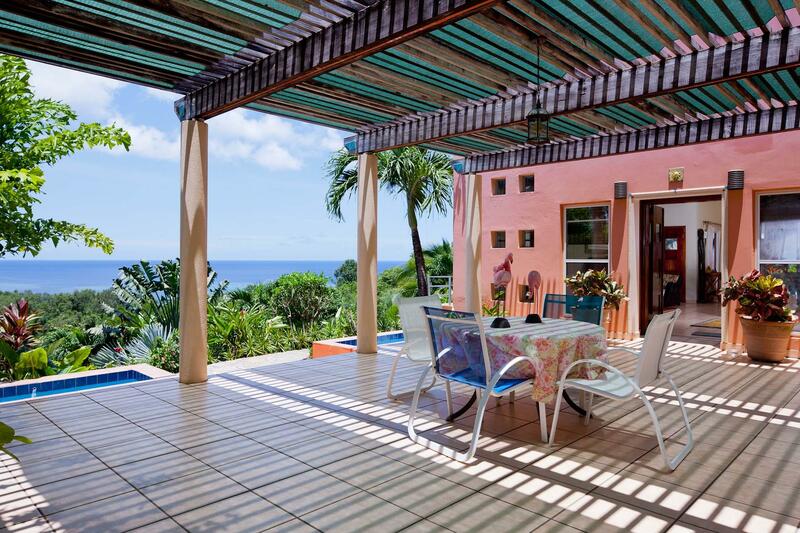 Located overlooking Politilly Bight, the home is a 15 minute drive on paved roads to shopping in French Harbour. 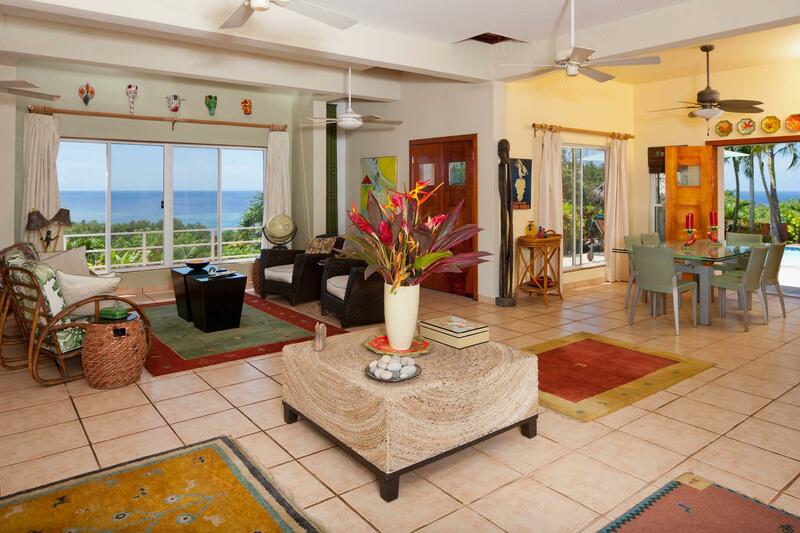 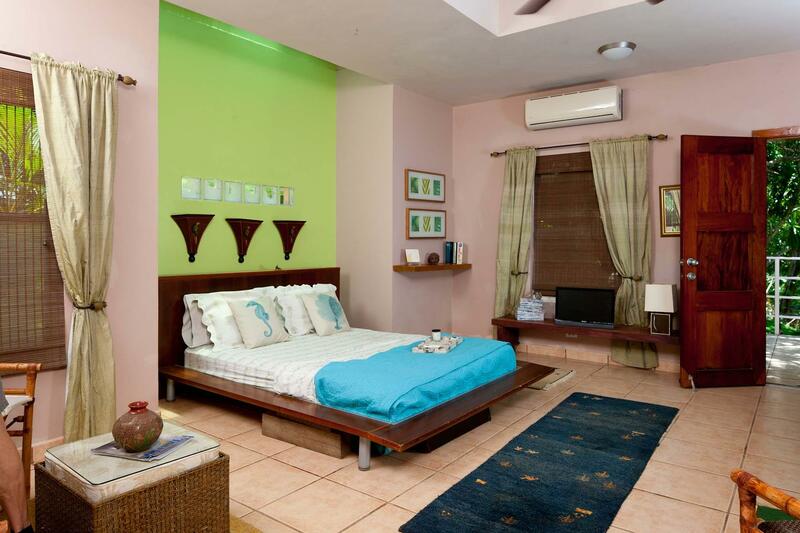 The home comes fully furnished with the owners reserving their artwork and personal possessions. 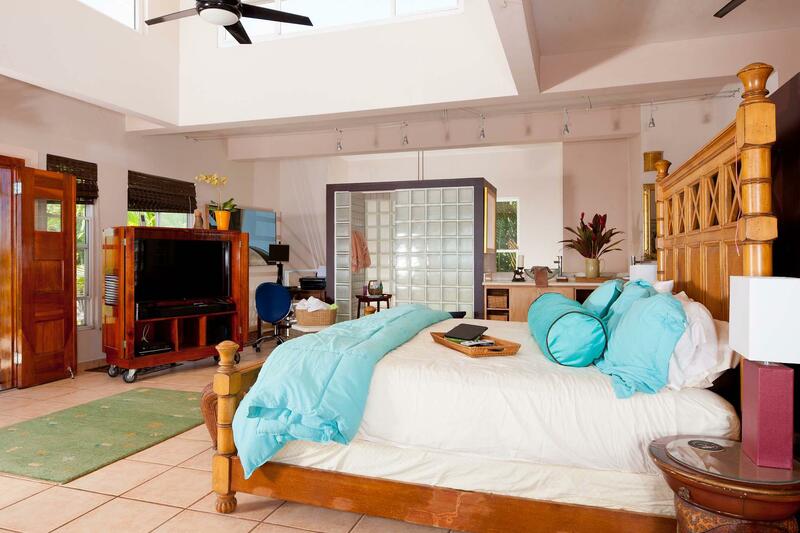 Room Sizes Kitchen	14x18'7" Living room	11'1"x25 Dining Area	11x11'12" Master BDRM	26x35 Master half Bath 6x3'5" Master Shower 6x3'2" Guest BDRM 1	15x18 Guest BDRM half bath	3'7"x8 Guest BDRM Shower BDRM 1 3'7"x6'5" Guest BDRM closet 1 3'7"x6 Guest BDRM 2 15x18 Guest BDRM half Bath 2 3'7"x8 Guest BDRM Shower BDRM 2 3'7"x7'2" Guest BDRM Closet 2 3'7"x5'3" Entry Foyer 11'10"x25 Master BDRM private Deck 13'2"x12 Deck over Master BDRM 39x21 Deck Storage over Master BDRM 6x6 Middle Sun Deck 28'7"x22 Pool Deck Area	22'6"x26x6'5" Half Bath living Room	3'10"x5'10"